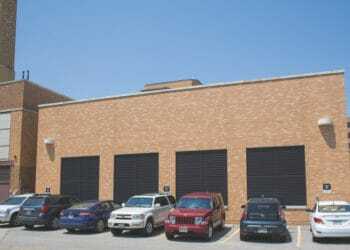 This project was a new electrical powerhouse constructed as an addition to the existing hospital. The project was spawned based on the need created by the Surgery Addition constructed on the front of the campus. The project team was selected by the Cleveland Clinic based on the team familiarity with the site and involvement on the Surgery addition. 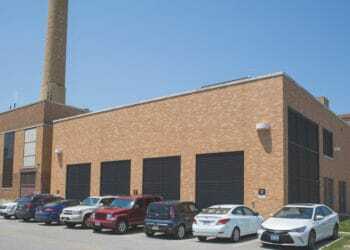 The project consisted of a new 4160V utility service, new 4160V switchgear, new unit substation, (2) 1500kW gensets, relocation of (1) 900kW genset from a basement of 1 building to the 1st floor of the new powerhouse, new paralleling gear, (7) new automatic transfer switches to replace (7) existing automatic transfer switches, and many other 480/277V and 208/120V switchboards. The project was very complex in nature, and included approximately (20) cutovers at both 4160V and 480V. 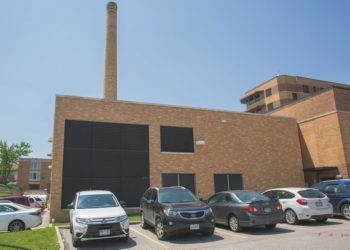 Possibly the most unique part of this project was that as an alternative delivery method, Zenith Systems, LLC directional bored (18) feeder conduits underneath the existing hospital, and as a result saved the owner approximately $ 400,000. The project also involved the removal of (3) existing, 20,000 gallon, underground fuel oil storage tanks, and the installation of (2) new 20,000 fiberglass storage tanks. UST work was completed by Relmec as a design assist partner. This project was completed under budget. CSB served as CM.